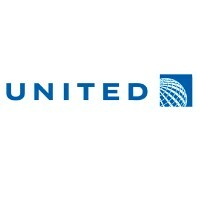 United Airlines stands as one of the world’s largest airlines that offers non-stop and one-stop service across the United States. It has an extensive global network with gateways to Europe, Latin America, Asia, and the Middle East. The airline is William Boeing’s brainchild that started out as Boeing Airline Company in 1916 as a mail and passenger service operator. It was first dubbed in 1931 when all of Boeing’s airline subsidiaries were consolidated under United Airlines, Inc. Currently, the airline has a very strong international presence with approximately 90,000 employees worldwide, over 300 international and domestic destinations and established in over 50 countries in the world. Employees are offered medical plans with vision, dental, disability and life insurance. They also offer competitive pay, worldwide travel privileges, holiday and paid time off. Employees are also afforded with 401(k) retirement plans, profit sharing and customer satisfaction bonuses. The generous travel benefit is one of the reasons people join the Airline. The competitive pay package, continuous training support and opportunities for advancement create loyal and dedicated employees. Individuals 18 years of age and above are eligible for employment with United Airlines. Flight attendants are required to be at least 21 years old to join. Most positions require a high school diploma or a GED diploma. There’s a wide variety of career opportunities with the airline. Listed below are some of the currently open positions. Flight Attendant: A flight attendant assists passengers and responds to any onboard situations. They ensure passenger safety and comfort while delivering a consistently gracious service. They prepare and serve meals, snacks and beverage. They also conduct onboard sales of food, liquor and duty-free items. They demonstrate the use of safety equipment and oversee emergency procedures if needed. Warehouse Agent: A warehouse agent handles receipt of equipment from vendors and shipment of cargo. They receive, verify and properly store collected food products, materials and equipment. They process requisitions and deliver products to the requesting department. They review purchase orders and reconciles invoices for accounts payable. Crew Scheduler: Schedulers create the flight attendants’ daily schedules and ensure that all scheduled flights are appropriately staffed. They ensure adequate coverage thru efficient planning of trip trade, plotting of reserve days off and rebuilding pairings. They also monitor crew availabilities, communicate changes and reassign flight attendants as needed. Ramp Service Employee: Handles baggage transfers between terminals as well as cargo loading and unloading. They also give assistance when receiving and dispatching aircraft. They also marshal the aircraft and drive a variety of mechanical equipment used for transporting baggage like cargo carts and conveyor belts. Cook: A cook prepares and cooks hot and cold meals according to menu specifications. They ensure that all prepared products adhere to the company’s quality standards and FDA guidelines. They help control food wastage, maintain the stockroom and request new stocks or supplies as needed. Electrician Technician: Electricians install, repair, test and adjust electrical machinery and equipment. They perform electrical activities such as checking AC/DC motor circuits and fixing minor transformer issues in accordance with the NEC and OSHA standards. They should be able to work on any assigned shift schedule. Machinist Technician: Machinists perform basic maintenance and repairs of machines and other pieces of equipment. They should be able to set-up, operate and maintain the performance of some machine tool types such as hand blending or bench work of high strength steel, bushing installation, and automatic and hand honing. Boiler Room Technician: Operates, maintains and inspects automatic gas fired high-pressure steam or high-temperature hot water boilers. They test and adjust boiler mechanisms, mechanical or electrical control instruments and other safety devices. They also test boiler water, water in the cooling tower and from any other systems and take necessary action to prevent corrosion and harmful deposit. Transportation Agent: A transportation agent prepares in-flight supplies. They load and off-load food, beverage carts and equipment to and from the aircraft. They drive the catering vehicle and ensure that it is properly maintained. They ensure that the catering vehicle is kept clean and sanitized. Customer Service Representative: Part of the Airport Operations department that is responsible for checking-in and processing of passengers and their baggage into flights. They confirm that passengers have valid documentation for travel. They ensure that passengers meet and board flights when required. Previous airline/airport experience and proficiency in other languages is a plus. The best way to apply for a position with United Airlines is through their Careers page. The job portal will have links to positions available in various career fields. Each entry will have a job description, responsibilities and qualification. To proceed with the application, you need to first create a hiring profile by enrolling your email address and creating a username or by linking your Google+ or Yahoo logins with the job portal. You will then need to fill out the application form with personal details, educational background, employment experience and scheduling availability. You need to upload your resume, cover letter and recommendation letters in the site too. Associate level applicants should specify their customer service or aviation related work experience in their resumes. Applicants for technical positions should showcase their competencies and accreditations if any. Executives should highlight their accomplishments and contributions to the company. The airline follows a stringent hiring process that includes an extensive background verification process with criminal history checks and drug tests. Applicants undergo a series of technical skills assessment and a series of personal interviews. Inclusion and diversity – With the company every person’s uniqueness are valued and celebrated. Everyone is treated like an individual able to contribute and thrives within a culture of inclusion, dignity and respect. The airline was awarded Eco-Airline of the Year by the Air Transport World magazine. This is to recognize the airline’s commitment to lowering their carbon footprint by using sustainable aviation biofuel for regularly scheduled flights and testing programs. For 6 consecutive years, United Airlines was identified as one of the best companies for LGBTQ employees by the Human Rights Campaign Foundation. They recognize the airline’s efforts to prioritize and advocate authenticity and inclusion in the workplace. The airline is partnering with Special Olympics International to launch initiatives to help end discrimination against people with intellectual disabilities. The airline will add training scenarios to make traveling a positive experience for individuals with intellectual disabilities. 1 How old do you have to be to work at United Airlines?